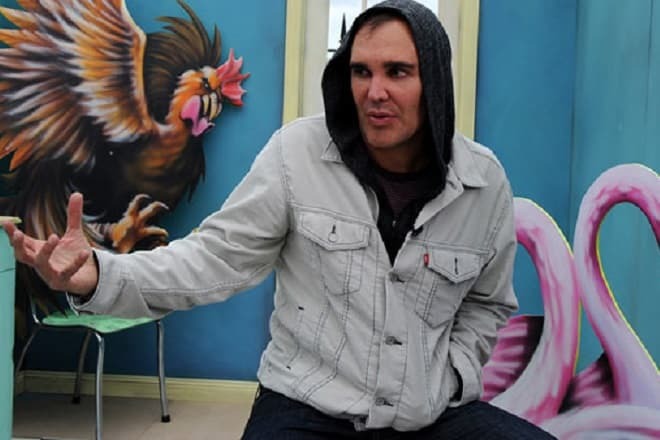 David LaChapelle is an artist. He is a photographer, both commercial and fine-art. He is also a filmmaker. David’s style has been named as "hyper-real and slyly subversive" and "kitsch pop surrealism". LaChapelle was born in Connecticut. His parents are Philip and Helga, and he also has siblings: a sister Sonja and a brother Philip. There was some moving when he was a child, his family moved to North Carolina for five years and then they returned to Connecticut. David says that he liked going to school, he could develop his artistic talent there, but he has always faced bullying there mostly for being gay. When David was 15, he ran away from home to New York to be a busser at Studio 54, the greatest and the most famous nightclub (now it’s a Broadway theatre). He was cleaning dishes, tables; generally, he was helping the waiting staff. But then he came back to North Carolina to enter the North Carolina School of Arts. The first LaChapelle’s photography was the picture of his mother when they were on vacation in Puerto Rico. It is known that David’s mom, Helga, was a big part of his passion for photos. When he was a kid, Helga used to make a lot of family pictures but not usual and ordinary ones. For instance, she made the angel’s wings by herself and gave them to David so he could be an angel at the photographs. David’s career started when he was a teenager. Firstly, in the 1980s he worked with 303 Gallery where some people from the magazine "Interview" saw his works and then Andy Warhol offered him a job as a photographer for the "Interview". 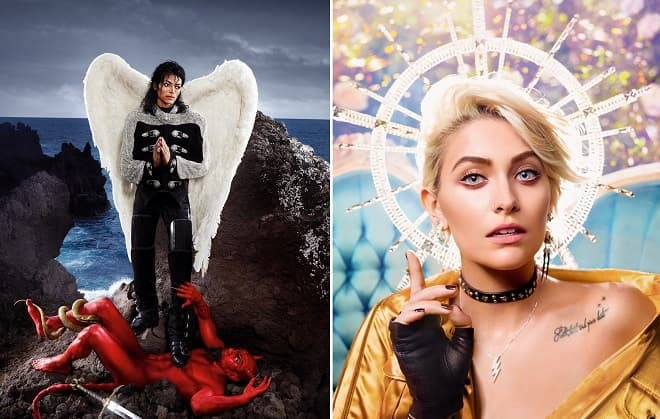 We can call LaChapelle’s photos super realistic, extra colorful and energetic. He has made a lot of covers for famous magazines such as GQ, The New York Times Magazine, Rolling Stone, The Face, Vanity Fair, Vogue Italia, and Vogue Paris. A lot of people who are occupied in such different fields of activity were his models: Angelina Jolie, Miley Cyrus, Hillary Clinton, David Bowie, David Beckham, Madonna, well, the list can be actually endless. LaChapell has made their portraits so unusual that no one could copy his style of work. All these photographs you can see at David’s website. LaChapelle also makes music videos. For instance, has directed "Can't Hold Us Down" for Christina Aguilera and Lil' Kim, "This Train Don't Stop There Anymore" by Elton John, "Try It on My Own" by Whitney Houston and others. 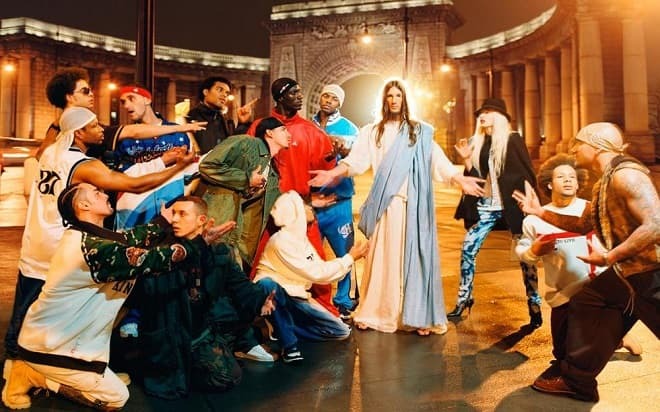 If there is a question "What’s the most famous work of LaChapelle? ", well, we might refuse to answer just because no one could really know for sure. We can tell that his firth photo of his mother was a significant moment for the development of his talent, but this is totally not his popular work. However, there is a great picture of Courtney Love in a religious form. 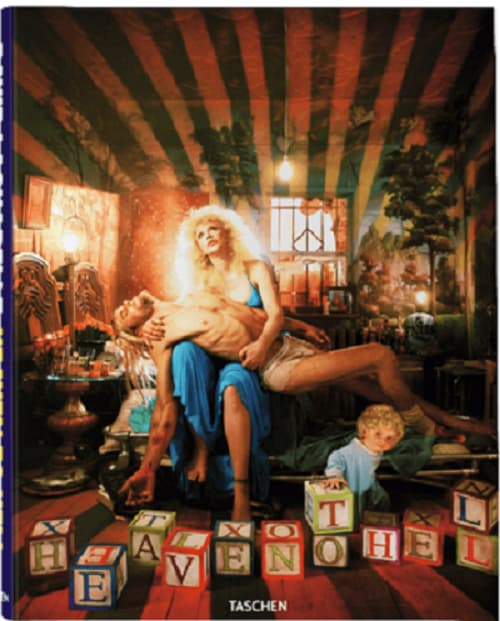 It’s named "Heaven to Hell", it's David's book cover. The interesting point is that the man who lies on Courtney's hands looks like her dead husband, Kurt Cobain, but it's Walker, David’s friend. The idea of this work came to LaChapelle when he was thinking about small deaths that happen in our world every single minute. David was inspired by Michelangelo’s "Pieta" that demonstrates the body of Jesus and his mother Mary right after the Crucifixion. Speaking about David’s influences besides Michelangelo, he was always inspired by Salvador Dalí, Jeff Koons, Cindy Sherman, and Andy Warhol. David is not only a commercial photographer but also a fine-art one. The term "fine-art photography" means that the author of photos wants to bring their own ideas to the audience. In 2006 LaChapelle left Los Angeles and went to Hawaii, the isolated part named Maui. It was like a rebirth for him, and there he developed the general topics of his artwork that he wants to discuss and share: consumerism, salvation (rescue from sin), paradise, etc. David is ill, he is bi-polar, but drugs don’t do any good for him so he just always monitors his health. 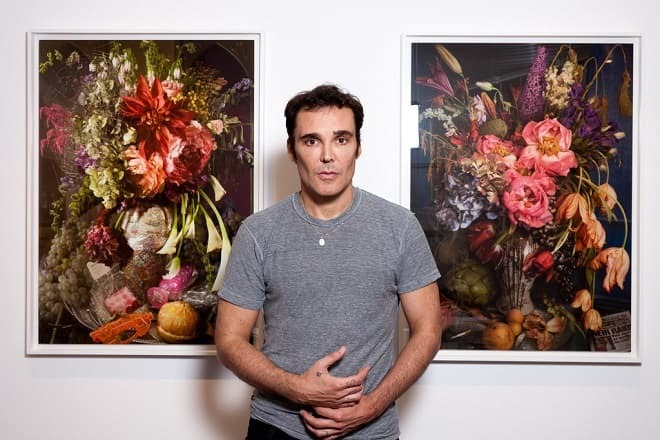 Speaking about LaChapelle’s love life, the photographer doesn't flaunt at all. It is known that in the 1980s he lost his boyfriend because of AIDS (acquired immune deficiency syndrome). Once he was married and, what’s interesting, to a female (her name is unknown) who was a publicist of Peter Robinson, a pop singer (better known as Marilyn).